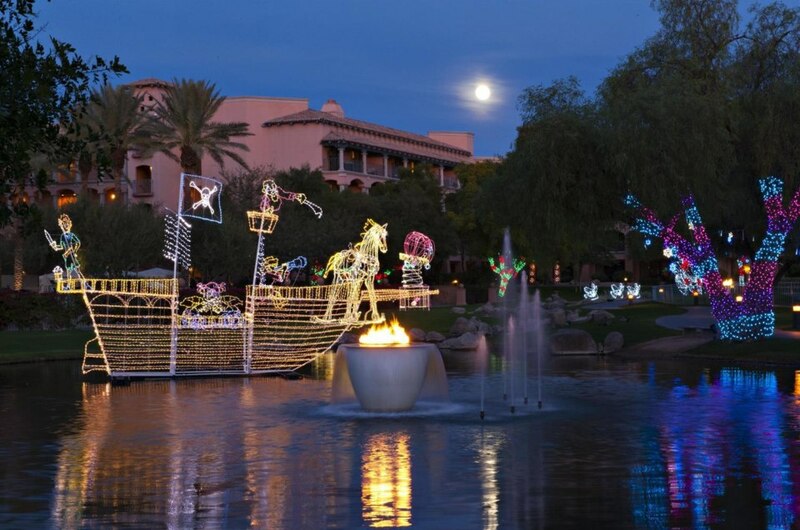 Even Santa Claus needs a break from the snow, and that’s why he sets up his top-secret holiday headquarters at the Fairmont Scottsdale Princess each year. He’s happy to visit with good little boys and girls every night through December 24, 2018. And, guests can even stay in the specialty Santa Suite (decorated by his most trusted elves!) throughout the month of December. If you’re someone who loves Christmas, this is a must. Ice skating in the middle of the desert? 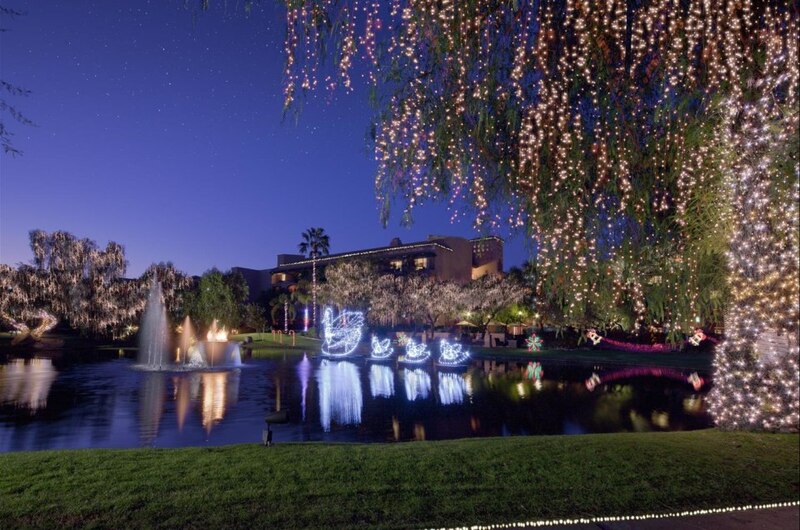 Only a place as magical and as special as the Fairmont Scottsdale Princess could make it happen. Made with real ice, the 6,000-square-foot ice rink features rink-side snowfalls and VIP fire pits (perfect for s’mores and hot cocoa!). 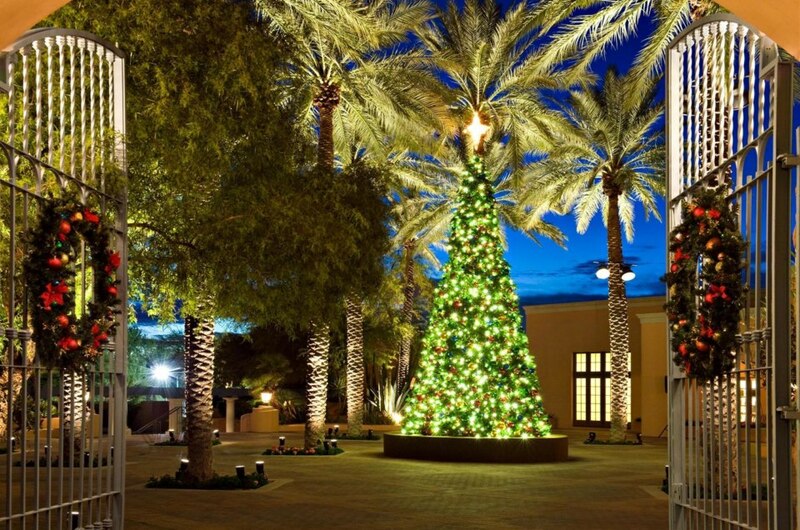 The Fairmont Scottsdale Princess will seriously light up your world. Using more than 70 million LED lights (that’s 1.5 million more than 2017! ), the resort transforms its Fragrance Garden to the Nativity Garden and its famous lagoon becomes the Holiday Lagoon with a series of stunning displays and figurines. Note: The Holiday Lagoon Lights are open to the public from 5pm to 10pm nightly. The Nativity Garden is open to the public from 5pm to 9pm nightly. Sugar, spice and everything nice becomes the theme of the holidays as the chefs at the helm of the five unique restaurants add their own seasonal flair to their menus. Our favorite this season is the Flip Nog (pictured above) from Bourbon Steakhouse. The cocktail puts a twist on the eggnog and cognac pairing by adding unique herbal notes and just a touch of sweetness. 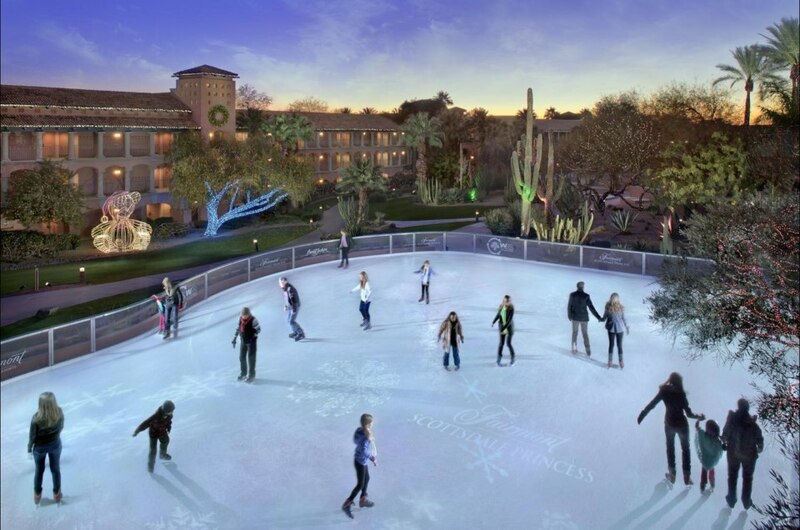 We didn’t even skim the surface of what the Fairmont Scottsdale Princess offers guests and visitors this holiday season. Holiday character shows, pop-up shops, ice slides and the Princess Express Train are just a few of the ways your family can enjoy the holidays. Click here to learn more and plan your visit today.